Our client, Mr H, was charged with speeding at 27mph in a 20mph zone in Edinburgh city centre. 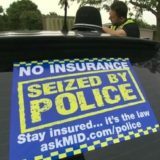 The alleged offence took place whilst the Edinburgh Fringe Festival was in full swing and police had been tasked with speed detection duties within the new 20mph zones in Edinburgh city centre to combat speeding drivers. Understandably this was due to concerns for public safety given the significant increase in pedestrian traffic as a consequence of the ongoing festival. 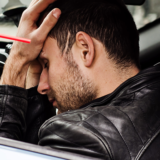 Our client was extremely concerned about the impact that a conviction for speeding offence would have on him and in particular the effect that penalty points would have on his driving licence and his insurance premium. Mr H received a free initial consultation from our specialist road traffic lawyer, Robert Sheridan, following which he decided to challenge the speeding ticket given to him by the police offering him 3 penalty points and a £100 fine. Our client had explained that although he was aware of 20mph zones within Edinburgh city centre he believed that the road in question was a 30mph zone. Having assessed the locus of the alleged speeding offence we were able to advise our client that the reduced speed limit of 20mph was not properly enforced. Our specialist road traffic lawyer was instructed to defend Mr H. He thoroughly investigated the case and put together a robust defence using his expertise in road traffic law, in particular caselaw on speed limit signage to give our client the best chance of success. The trial took place at Edinburgh Sheriff & Justice of the Peace Court. At the trial, our road traffic lawyer used his expertise and extensive knowledge of road traffic law to bring the case to a quick conclusion. After examination of the first police officer the Procurator Fiscal conceded our road traffic lawyer’s point regarding the enforceability of the reduced speed limit and Mr H was found not guilty. Our client was delighted to have gotten a successful outcome and was extremely grateful to our road traffic lawyer, Mr Sheridan, for the first class service and representation he had received.